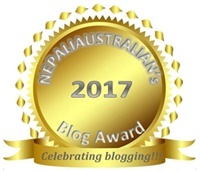 This entry was posted in Nepaliaustralian Blog Awards and tagged awards, Best Blog Design 2017, Best Blog for 2017, Best Blog Post of the Year 2017, Best Fashion Blog 2017, Best Fashion Blog Post 2017, Best Food Blog 2017, Best New Blog 2017, Best Personal Blog 2017, Best Photo Blog 2017, Best Photo Blog Post 2017, Best Travel Blog 2017, blog award, blog awards, Most Diverse Blog 2017, Most Educational Blog Post 2017, Most Witty Blog Post 2017, Nepaliaustralian Blog Awards, Nepaliaustralian's Blog Awards, personal blog. Bookmark the permalink. I’d like to nominate ADD and So Much More https://addandsomuchmore.com/ for the Best Blog Award. Madelyn is offering a great service to the worldwide community by providing invaluable advice to neurodiverse readers, as well as those who have to deal with neurodiverse family, friends, and co-workers. Her blog is amusing, entertaining, and extremely helpful in a well-researched, yet user-friendly manner. Hello! Thank you for this opportunity. 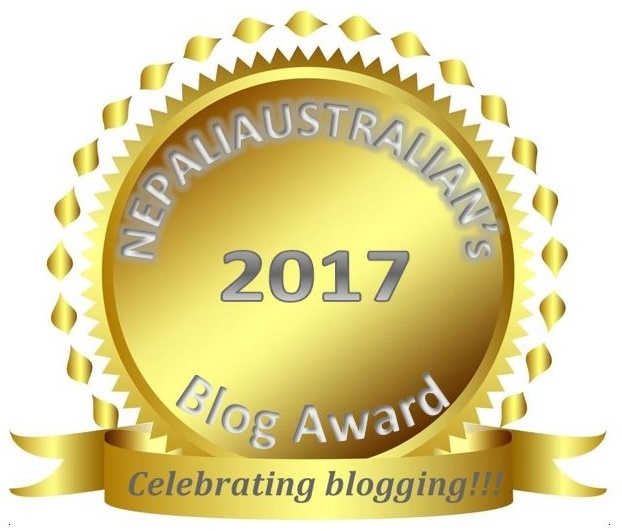 I would like to nominate my own blog Mindelate, which I started in March 2017. It’s a mental health blog through which I aim to inspire as many people as I can reach, spread awareness and break stigmas surrounding mental health around the world. I would like to nominate myself under the ‘Best New Blog 2017’ category. Please feel free to take a look at my blog! I would like to nominate Countdown to 60 for the Best Personal Blog 2017. Loretta Sayers Gavin speaks a vulnerable truth, from the heart. She speaks for all women, and shares what most of us are afraid the share. We can relate and we then recognize we are not alone as women! I’d love to nominate http://www.thecountdownto60.com/ in categories 1,6, and 8! I’m nominating thecountdownto60.com for categories 1, 6 and 8. Thank you! As I was a winner of this award last year, I feel obligated to share this post. 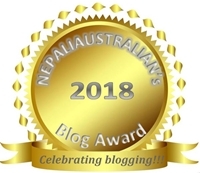 A great big THANK YOU to nepalaustralian for doing all this work every year! Nominate away, Beautiful People!